Thomas Wright came to Ireland at the invitation of his friend James Hamilton, first Viscount Limerick (and later first Earl of Clanbrassill) who, because his titles were in the Irish peerage, sat as at M.P. in the English House of Commons and thus maintained a house close to London (at Brook Green, Hammersmith) where Wright often stayed. Lord Limerick had benefitted from an extensive Grand Tour (the enlightening diaries he kept during this period were edited and published in 2005 by his descendant the present Earl of Roden) and brought a well-informed sensibility to his Irish estates based in Counties Down and Louth: he owned the greater part of Dundalk which had been purchased by his parents and where his main residence was located (the Manor House, demolished 1909). It was here that Wright established his base while a guest of Lord Limerick and the latter’s wife, Lady Harriet Bentinck who was related to many of the other families supportive of his endeavours. Among these was Viscountess Midleton whose husband Alan – he had large estates in County Cork – was responsible, with the second Duke of Richmond (father of Ladies Emily and Louisa Lennox who respectively married the first Duke of Leinster and Thomas Conolly of Castletown) for drawing up the first written rules for cricket. Lady Midleton was Lady Limerick’s step-niece while her step-sister the Countess of Essex was also married to a man owning extensive property in Ireland. All of them numbered among Wright’s friends and supporters, and help to explain his connexions with this country. As mentioned, Lord Limerick’s principal residence was in Dundalk and it is believed that the improvements he made in the grounds of this house were designed or inspired by Wright. In late June 1952 during his tour through Ireland the future Bishop of Ossory (and later Meath) Richard Pococke noted of Dundalk, ‘Lord Limerick lives here, and has made some fine plantations and walks behind a very bad house which is in the street of the town: as walks with Elm hedges on each side, an artificial serpentine river, a Chinese bridge, a thatch’d open house supported by the bodies of firtrees, etc. and a fine kitchen garden with closets for fruit.’ At least some of those interventions indicate the influence of Wright. 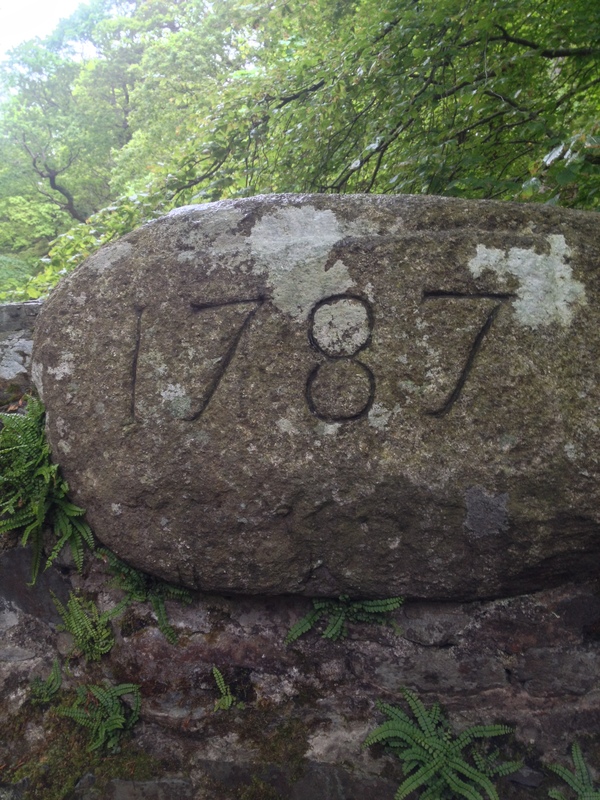 Lord Limerick also owned land further north at Tollymore, County Down and in September 1746 he and Wright travelled there for a stay of eight days. There was an old house on the property but in 1740 a ‘New Deer Park’ had been created on an adjacent site with a small hunting lodge or summer house being built there. Its situation was exceptionally romantic, with the land dropping down to the Shimna river before rising up to the Mourne Mountains. One imagines it was this vista which stimulated both Wright and his patron and led to the erection of a series of other structures in the park. 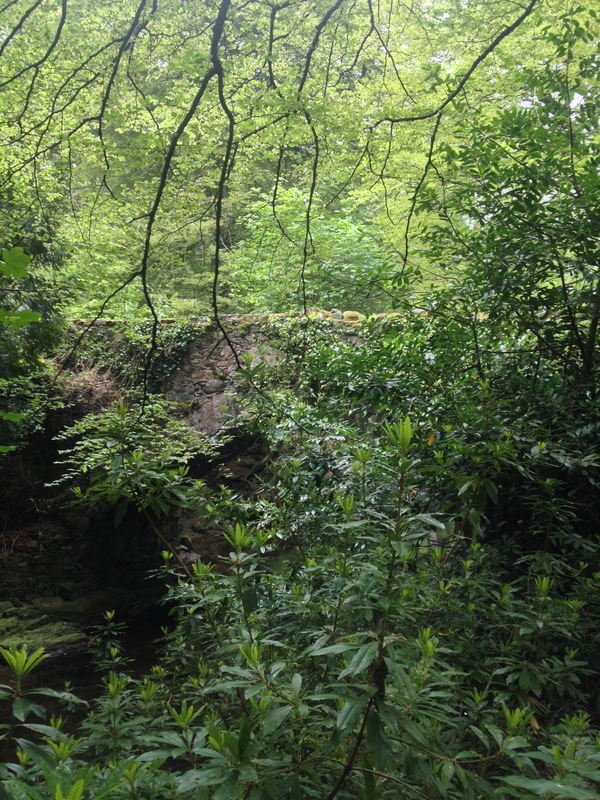 The ‘thatch’d open place’ which Pococke deemed to be ‘very Romantick’ is no more (it was likely gone before the end of the 18th century), but many of the interventions made by Lord Limerick, and by his son the second Earl of Clanbrassill, remain at Tollymore. All show the abiding influence of Wright and although no material survives specifically linking him with any of them, their design (and their similarities to other such work in England which can be traced to him) allows one to assume such a connection. 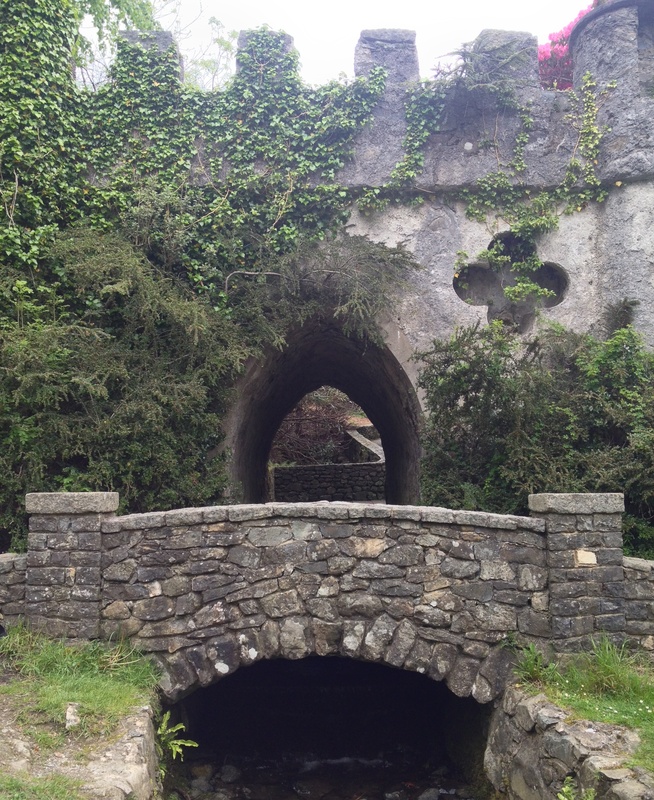 It is interesting that even structures in the parkland of a later date are in the same style as those put up in the period following the September 1746 visit to Tollymore; for example the Barbican Gate which is post-1777 (see top photograph). By this time the second Earl had come into his inheritance but as a young man he had benefitted from Wright’s teaching and thereby imbibed the latter’s ideas on garden design. 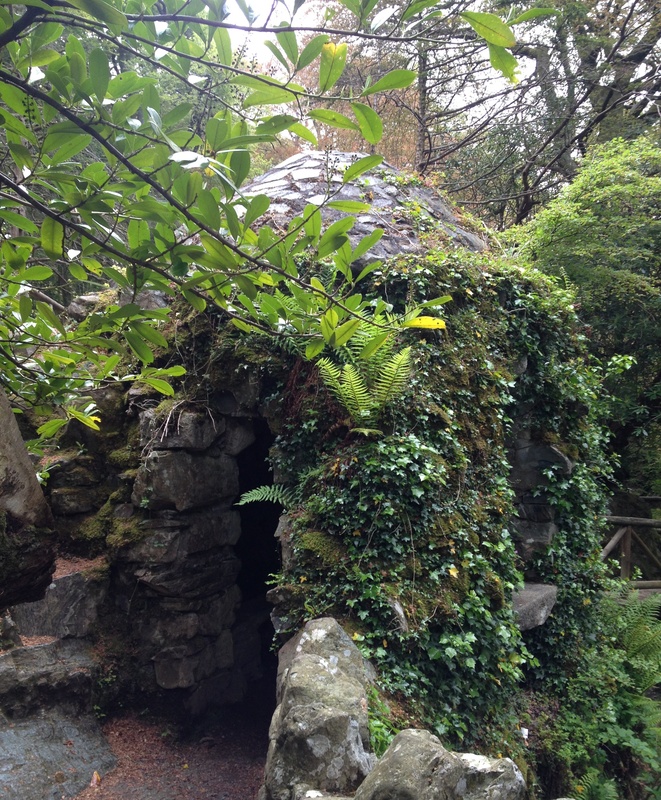 The original lodge at Tollymore consisted of a two-storey, five bay house, the centre of which featured a three-sided bow. Single storey wings were added on either side and this is the building that appears in a 1787 engraving by Thomas Milton after John James Barralet. Following his father’s death in 1758 the second Earl of Clanbrassill enlarged the the house adding three single-storey extensions, each forty feet long, to create an internal courtyard. 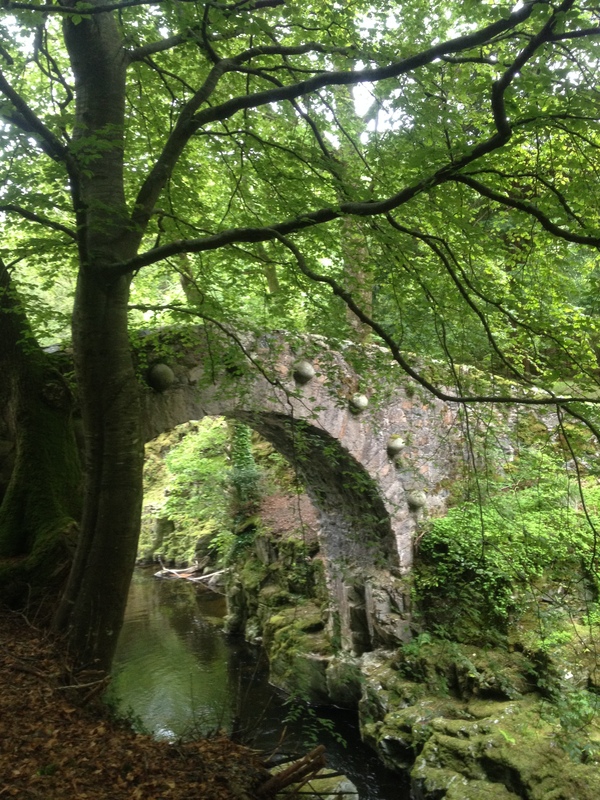 He also put up further edifices around the demesne, not least Clanbrassill Bridge dated 1780, which has two turrets with pinnacles and niches at each end, and the high-arched Foley’s Bridge of 1787. When he died in 1798 his estates passed to his sister Anne Hamilton, widow of the first Earl of Roden; she like her brother had been tutored when young by Wright and therefore brought the same understanding to Tollymore. In turn on her death in 1802 it all passed to her eldest son Robert Jocelyn, second Earl of Roden. The Rodens’ main residence had hitherto been Brockley Park, County Laois, a house designed in 1768 by the Sardinian architect Davis Ducart (and sadly demolished in 1944). However, the family preferred Tollymore and so the house here was greatly enlarged in the 1830s, although it remained possible to discern the original lodge (see photograph below). 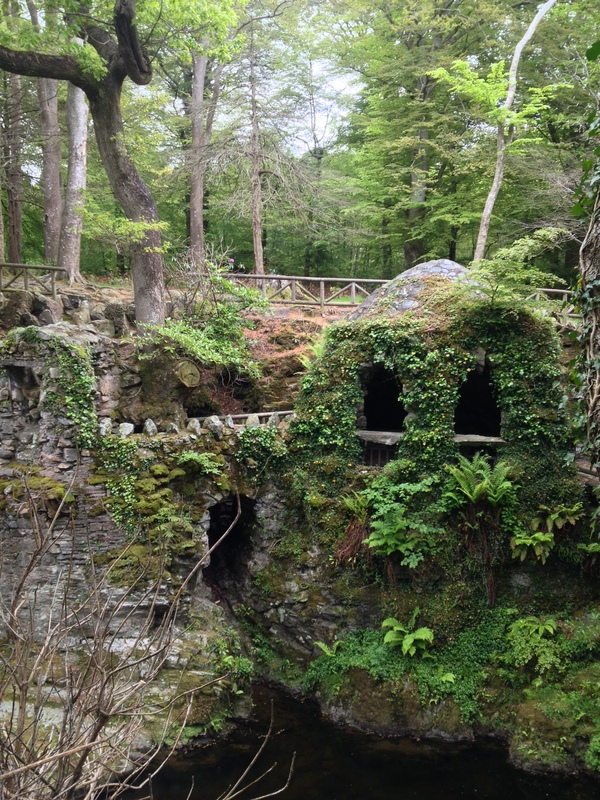 The Rodens continued in ownership of Tollymore until the last century when the eighth Earl gradually disposed of the land, park and house, the buyer being the Northern Ireland Ministry of Agriculture. 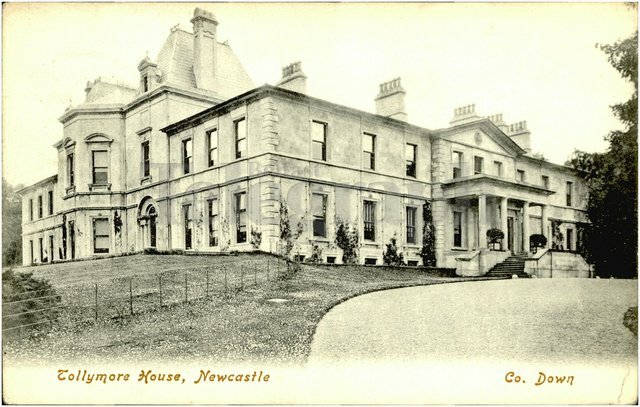 In the mid-1950s Tollymore was opened as the province’s first public forest park but by this date the house, having stood empty for some time, was demolished: today a car park occupies its site. 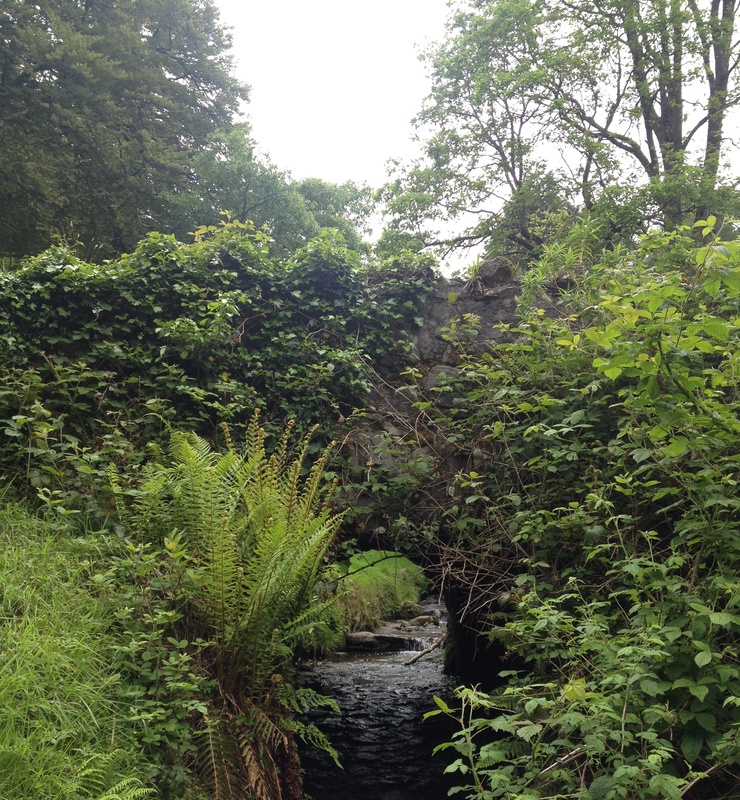 The rest of the demesne has been maintained and certainly deserves to be visited in order to gain an insight into 18th century romantic sensibility. 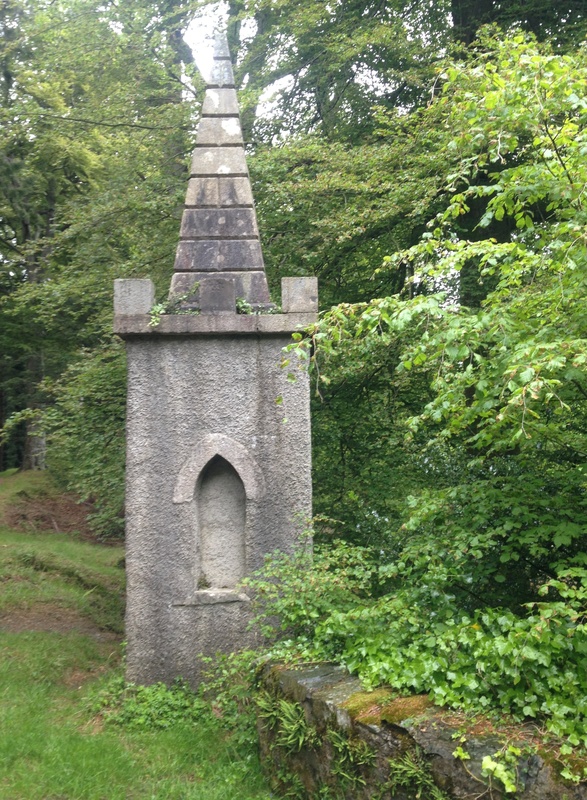 Thomas Wright and Viscount Limerick at Tollymore Park, County Down by Eileen Harris (in The Irish Georgian Society’s Irish Architectural and Decorative Studies, Volume XVI, 2014). This entry was posted in Architectural History, Country House, Down, Folly, Irish Garden and tagged Architectural History, County Down, Georgian Architecture, Irish Country House, Irish Garden, Stately Home, The Big House, Tollymore Park. Nice information; lovely photos; wish there were identifications on each one, otherwise they are just that–nice photos with a tenuous connection to the article. The stuff of dreams …Your site will give me reading-material for years ! Thanks for the interest and support. My grandfather was john percy ward he was head of household (valet) in 1911: he met his wife there and her father was a coachman .